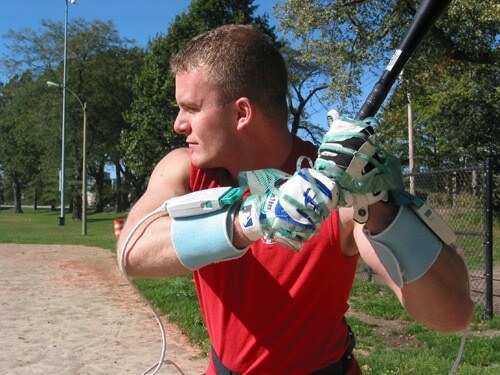 The Grip™ system allows users to measure static and dynamic pressure from grasping objects. This device measures the pressure of a human hand while holding (or gripping) an object, allowing for further design, comfort and ergonomics. It can be used to enable a more ergonomically-sound product, as well as improve the analysis of tools and sports equipment. The application can also be used in medicine, providing a useful tool in research (for example, in the study of carpal tunnel and repetitive motion syndrome). Therefore, the Grip™ is the perfect tool for recording and understanding data to improve product design, manufacturing, ergonomic quality, and research. The paper-thin sensor does not affect the grip "feel"
There are three hardware options for the grip system: Tethered, Wireless and Datalogger. The Grip™ System is offered as either tethered or untethered to improve mobility and the range of recording. Which setup a user will need will depend on the intended application. Cuffs are unique scanning electronics that are utilized in every VersaTek™ based system. While connected to the sensor, the Cuffs collect, process and transfer data to the computer via the USB connection. 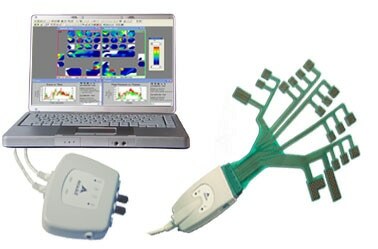 VersaTek electronics process information at the fastest rates and can be integrated with other VersaTek sensors, giving users the flexibility to add other features, such as in-shoe, prosthetic, grip, and seating & positioning capabilities to their Tekscan System. The sensor and scanning electronics on the hands are connected to the computer by wires using a USB port. This device has a scan rate of up to 750 Hz. The transmission of data is taken directly from the hand to the computer with no wires, making it suitable for a number of different applications. The device has a range of 100 meters and data is measured and displayed on the computer instantaneously. A 100 Hz scan rate is offered with wireless connectivity. There is an internal memory in the device which stores the sensor data until it is ready for uploading to a computer. This device is ideal for applications where the subject must be at a greater distance than 100 meters from the computer (for example when measurements need to be taken over a long period of time). This device can achieve scan rates of up to 750 Hz. Wireless and Datalogger performance is supported by the Hub. The Grip™ System can be used directly on a hand or integrated within a glove thanks to the thin, high-resolution sensors that are used. 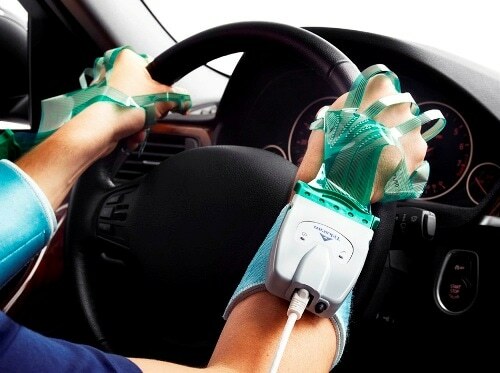 To use the device, parts of the hand (or hands) being measured will be fitted with as many as eighteen sensor regions. Gaps between sensors have been incorporated into the design to allow participants to move their joints naturally and avoid influencing the grip data that is collected. 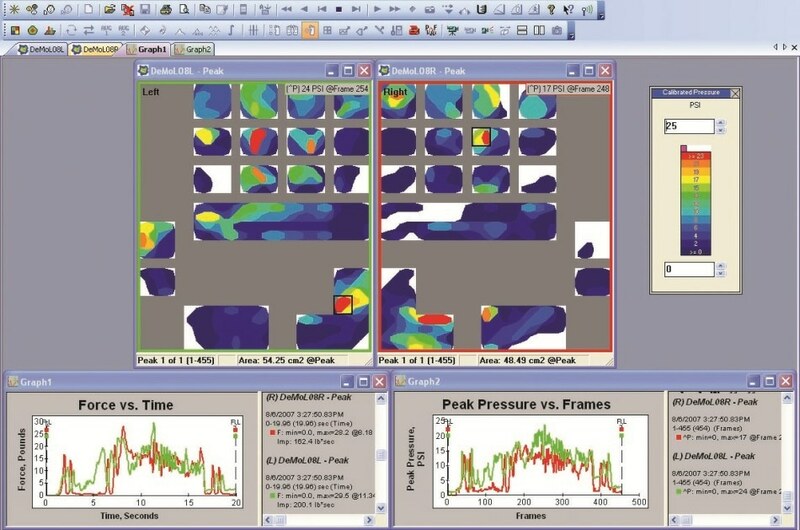 Sensels™ are a collection of sensing elements that constitute each sensing region and enable different pressure points on the hand to be identified and localized. The software is available in several languages, including Spanish, French, and German.